There is a wide variety of external hard drives available in the market with different shapes, sizes, and storage capacities. 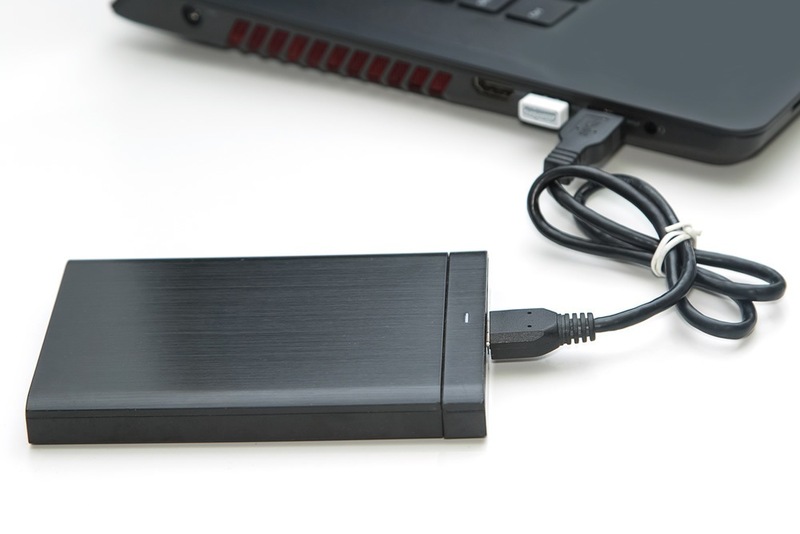 To find a reliable external desktop drive in the market, there are few features that you should look for i.e. design (body), compatibility, security, warranty, and customer’s feedback about that drive. However, it is really difficult to find all these features in one drive but you can come close. You can go for a drive that has a good reputation in the market and can maintain daily backups with security, and offers warranty too. To bring you the most reliable external hard drive, we have chosen three hard drives with storage capacity of 5TB-6TB, compatible with USB 3.0 and USB 2.0, have over 4 star rating, and offer warranty. Our selection will help you to choose the most appropriate and reliable drive for your desktop. 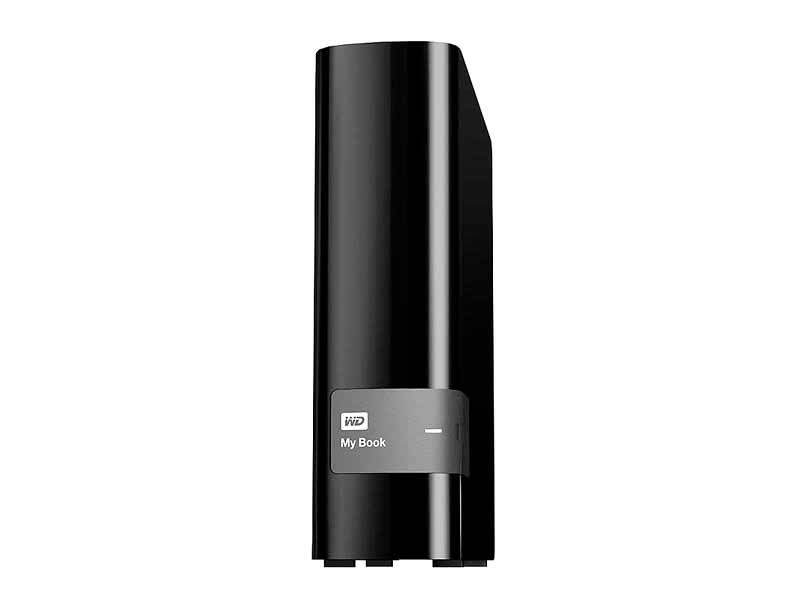 WD 6TB My Book Desktop External Hard Drive – USB 3.0 – WDBFJK0060HBK-NESN supports ultra-fast USB 3.0 data transfer and its backup software allows users to request how, when and where backup is to be maintained. It is available in four different storage options e.g. 2Tb, 3TB, 4TB, and 6TB but all with different prices. We have selected the 6TB for the review since it is the maximum storage capacity and is available on Amazon. WD 6TB My Book Desktop External Hard Drive – USB 3.0 is a 4.1 star rated drive that is optimized for the fastest data transfer rates and lets you secure your data. Contrary to all the excellent features provided by the drive, there is an issue raised by some customers, about the AES hardware encryption offered by this drive, and that is if the USB fails, you can never recover your data since the encryption key is in the hardware of the USB. In that case you have to format the drive and this wipes out all the data. 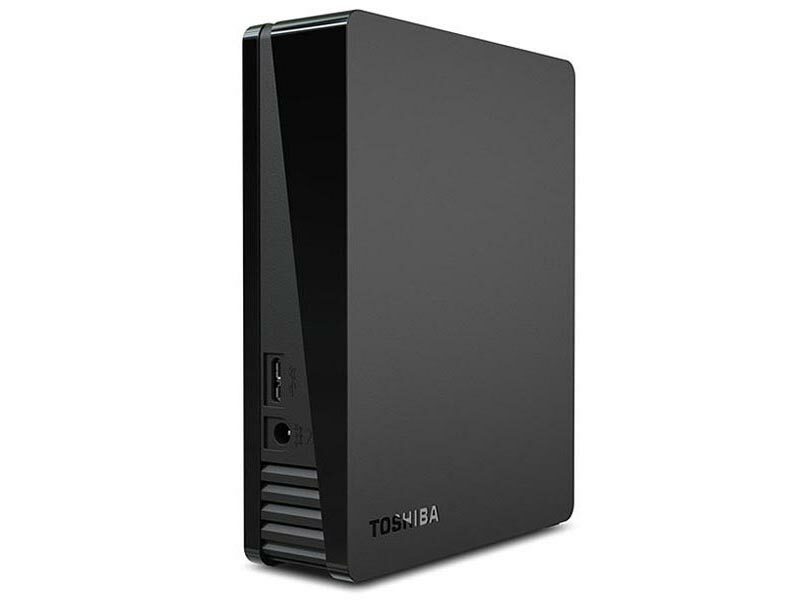 Toshiba 5TB Canvio Desktop External Hard Drive (HDWC250XK3J1) is a space saving external hard drive with huge storage space enough for you to save pictures, videos, movies, and important documents with security. Quick backup and disaster recovery with three years of warranty make this device a reliable choice. The package includes Toshiba Canvio Desk Hard Drive, USB 3.0 Cable, AC Power Adapter, and Quick Start Guide. The drive is black in color and can be purchased on Amazon. The Toshiba 5TB Canvio Desktop External Hard Drive (HDWC250XK3J1) is a four star rated product and it includes all the features that are required to make it a reliable drive as claimed by the manufacturer e.g. data security, disaster recovery, and warranty, but still we see that 20% of the customers have rated it as a 1 star drive. The drive has no fan so it may get warm after prolonged use and it is therefore required to be placed in an airy room for better performance. This issue is not particularly associated with this drive and most of the heavy duty hard drives feature it. Toshiba 5TB hard drive comes with 3 years warranty which is a competitive edge since 3 years warranty is rare in desktop hard drives. 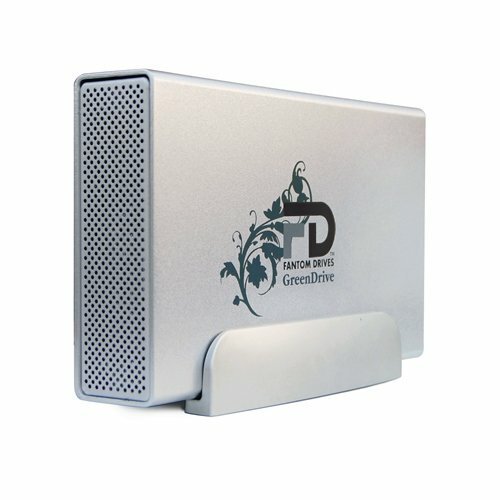 The Fantom Drives 5TB GreenDrive3 USB 3.0 Aluminum External Hard Drive (GD5000U3) provides a reliable and affordable storage solution for USB enabled systems (PCs and Mac). It is super speedy (7200rpm), quiet, and reliable device perfect for audio and video professionals. The package includes everything that you may need to start storing files. The drive is sliver in color, weighs 2.5 pounds, and is available on Amazon. Fantom GreenDrive3 USB 3.0/2.0 4TB External Hard Drive is a 4.3 star rated drive that has features to provide optimum storage for all sorts of data. About 75% of its customers have rated it as 5 star product. According to the customers, the device does exceptionally well with all sorts of operating systems with an exception to Windows 7. The drive which offers a good rating and warranty with less issues by its customers make it a good choice. To purchase any digital device, a customer should seek reliability, which is usually evident from its design (sturdy), customer’s feedback, and warranty. To present you with the most reliable desktop hard drive is really challenging since a fully reliable product for one consumer could be a total disaster for other, this is why consumer reviews are important. It is really difficult to find all these three features together in one drive since warranty is very rare with hard drives. However we managed to sift through three reliable hard drives that have more than a 4 star rating with a good warranty period and look sturdy. An analysis of these features for the most reliable external hard drive is the Fantom Drives 5TB GreenDrive3 USB 3.0 Aluminum External Hard Drive.